Our client First Alert prides itself on the safety and security that it offers to consumers, who trust its products to help them protect what matters most. To ensure it maintains that trust, the company conducts a Brand Trust Survey* each year, which compares the brand to others in the safety arena. Good news coming out of this year’s survey, conducted in January: First Alert still tops the list as the most trusted name in home safety, and the most trusted brand in smoke, fire and carbon monoxide protection. These findings are especially important as First Alert continues its foray into the world of smart home products with its Onelink by First Alert brand. 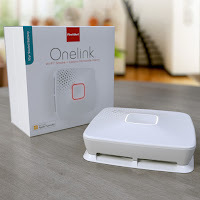 This portfolio of Apple HomeKit-enabled connected home products include the Onelink by First Alert Wi-Fi Smoke + CO Alarm, which a significant majority of consumers name as the first smart home product they would purchase for their home. With more introductions to come in the Onelink by First Alert portfolio, we’re excited to continue leveraging First Alert’s position as the most trusted name in home safety!